KKI wanted to store exhibition material on a mezzanine floor to release space for a production area.The production area needed to be high enough for machinery, and reasonably clear of columns and also allow for handling of the exhibition materials which were much wider than a normal palletised load. Bradfields manufactured a custom safety gate 4m wide to enable the exhibition material to be safely loaded and unloaded. 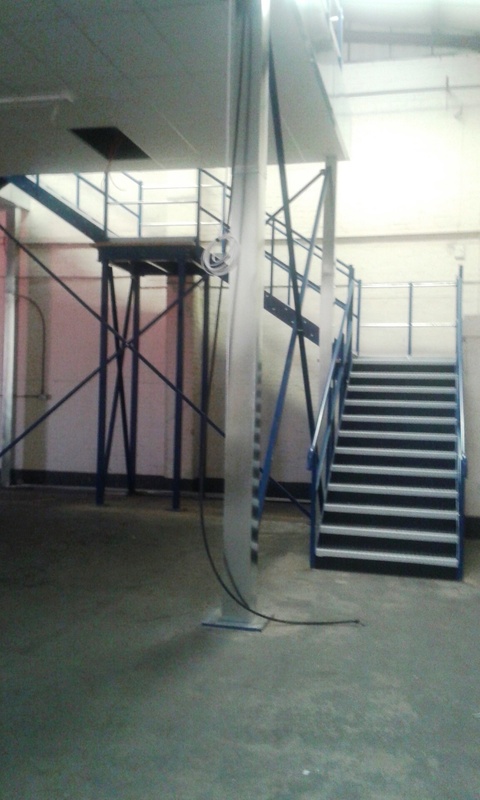 A mezzanine floor with columns on a 9 metre span to keep the area below relatively clear of columns was designed and manufactured. The reduced number of support columns meant that the point loads on the building floor slab increased. KKI wisely instructed Bradfields to arrange core samples, compression tests, analysis and structural calculations which together with some slight redesign meant that the structure and the building floor carrying it were fully calculated and proved. 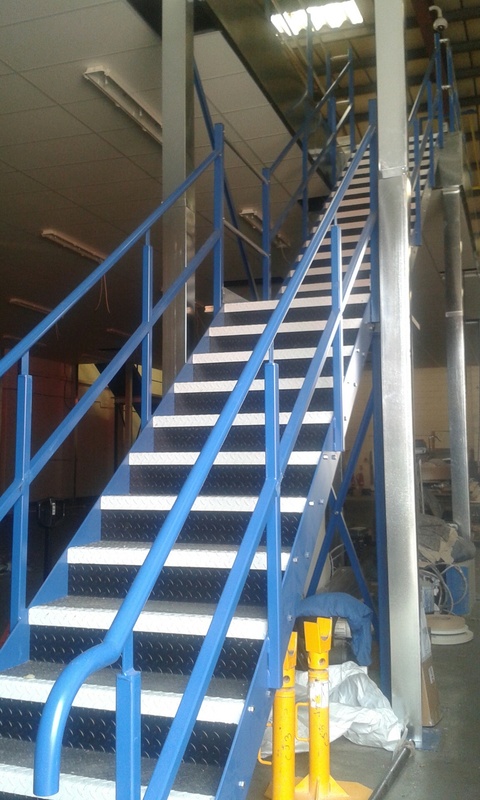 The clear height below the floor was 4.4m and the floor level was 5m, this accessed by staircases with half landings, fully compliant with Building Regulations. 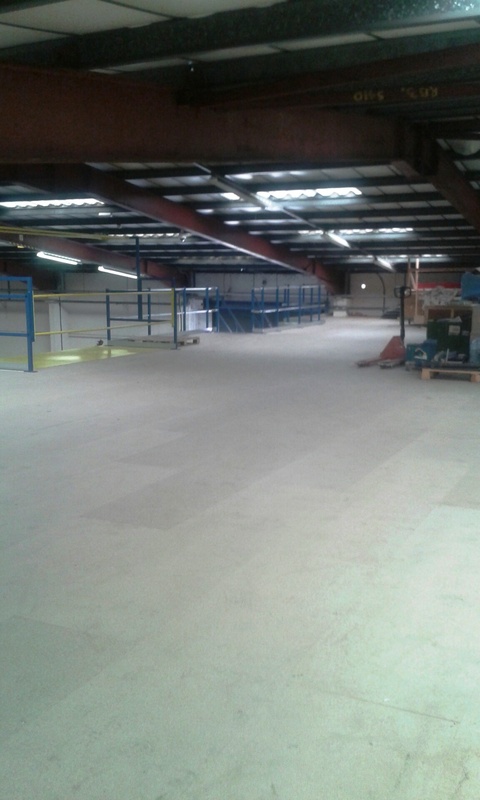 Bradfields dealt with the Building Regulations application required due to the size of the mezzanine floor and fitted fire protection to the floor to fully comply with the requirements of Building Regulations and the Fire Officer. 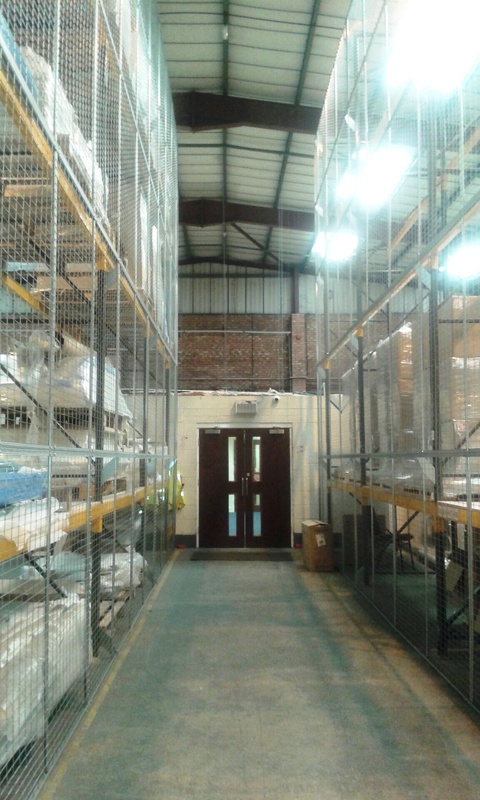 KK Installations got the production area and the storage space they needed, all in the same footprint originally taken up by storage alone. 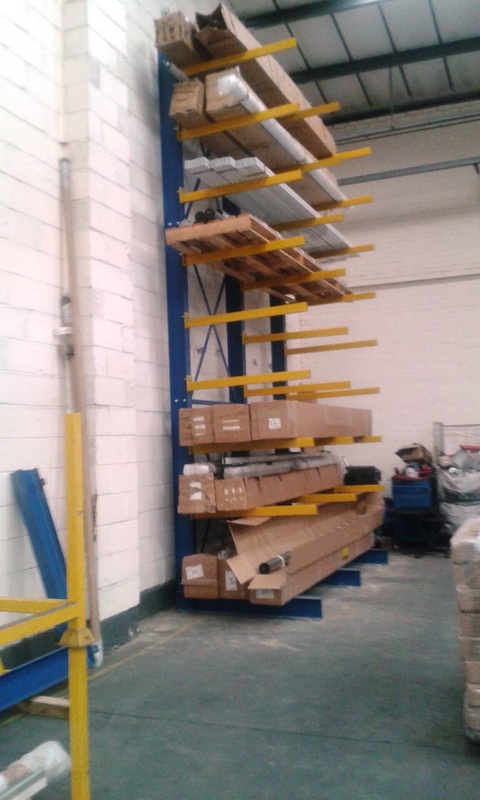 As the project progressed, Bradfields helped KKI free up more floor space by providing custom made Cantilever racking made to their specific requirements. 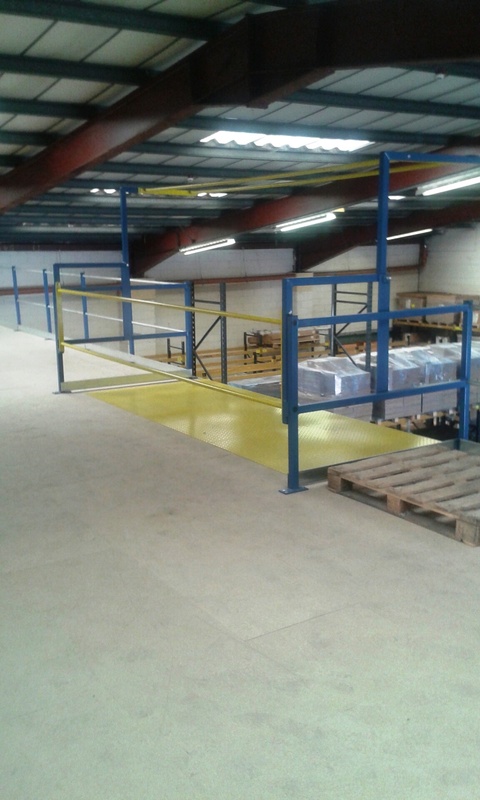 A potential risk to pedestrians walking between pallet racking was also addressed by fitting anti collapse mesh to create a protected walkway.